A master quality nine prong bell and dorje set -- crafted by a Tibetan family who have been making authentic ritual bells for more than 50 years. This is without doubt one of the finest sets we have seen in the past 15 years. The underside of the bell has been designed with a rare cascading motif -- which is based on a known antique bell belonging to one of the Sakya lineage holders. The vajra and handle are of a quality that we have not seen available elsewhere in the marketplace. They are fully fire gilded with 24k gold and intricately carved. Each bell displays a protective vajra fence in between a double row of pearls. 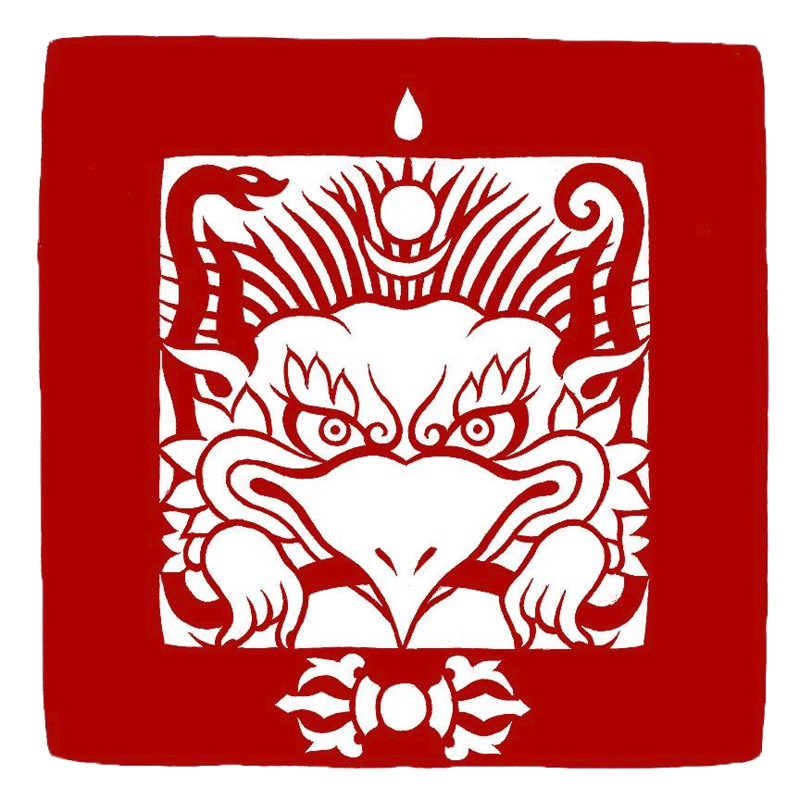 Above this are the traditional eight heads of the Kirtimukha, which in this case also symbolise the eight heads of the Makara, a mythical crocodile-like creature from Indian mythology and protectors of the mandala. It is on their heads that the mandala palace rests. Each is holding a chain of jewels with vajras in between them. Above the Kirtimukha is a another row of vajras that symbolise the 16 emptinesses. Above this is an eight petalled lotus seat for the eight bodhisattvas and their consorts. They have a vibrant sustained tone of excellent quality! Quality: 5 metal Bronze Alloy. The bells are approximately 19 cms high. Vajra measures approx 5 inches. Each set comes complete with a protective brocade bell case. The handle and Vajra are cast in copper and then hand finished to give much finer detail. They are then fully fire gilded with 24k gold. NB. Each set is individually hand finished and so please expect slight variations in detail between sets.